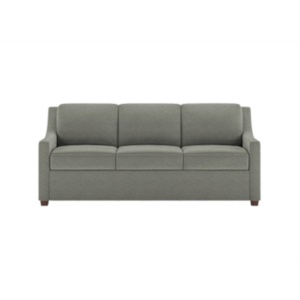 Lee Industries 3583-11 Apartment Sofa is a transitional style with an oak base. The soy based cushion cores are wrapped in fibers encased in a down-proof ticking that are both durable and comfortable. 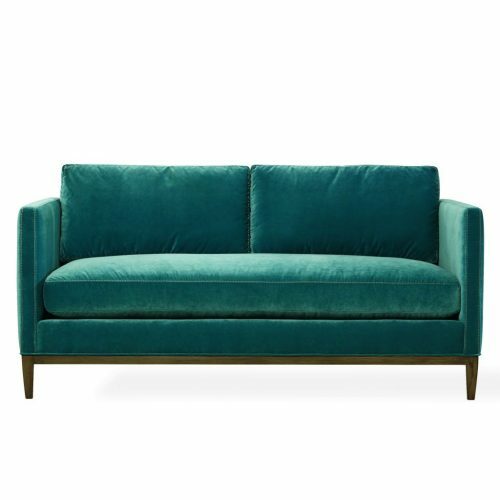 Its’ size makes it perfect for an apartment or smaller living space. We have hundreds of fabrics and leathers to choose from! 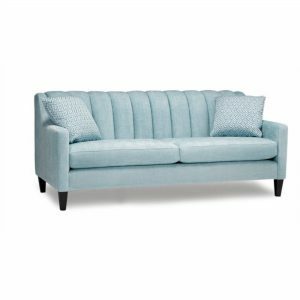 Shown and priced in Fabric, Winthrop Ocean with topstitching and an oak base. Overall Dimensions: 72"W x 35"D x 35"H Inside Dimensions: 65"W x 22"D x 17"H Seat Height: 19" Arm Height: 30" Back Rail Height: 30"